Summary: A historical-archeological defense of Hezekiah’s tunnel. PREMISE: Hezekiah’s tunnel (also known as the Siloam tunnel) was built as recorded in the Bible. PURPOSE OF ARTICLE: To use historical and archeological reasoning to demonstrate that King Hezekiah constructed the tunnel mentioned in 2 Kings and 2 Chronicles. In 701 B.C., King Sennacherib of Assyria planned to attack Jerusalem. Hezekiah, the king of Israel, took steps to cut off freshwater sources outside of the city in case they were discovered and used by the Assyrian army. According to the above Bible passages, he also ordered his workers to construct a tunnel that would bring water from the Spring of Gihon to the city of Jerusalem during the siege. But was the tunnel commissioned by Hezekiah, since his name is not on the inscription? The answer lies in radiocarbon (or Carbon-14 dating), and it confirms that the tunnel was indeed built during the time of Hezekiah. In the 2003 Nature article “Radiometric dating of the Siloam Tunnel, Jerusalem”, Amos Frumkin, Aryeh Shimron, and Jeff Rosenbaum “report radiocarbon and U–Th dating of the Siloam Tunnel 3–10, proving its Iron Age II date; we conclude that the Biblical text presents an accurate historic record of the Siloam Tunnel’s construction.”2 This article was so influential that it was mentioned in National Geographic,3 and, in fact, there are other instances of radiometric dating confirming the tunnel’s completion at around 700 B.C. 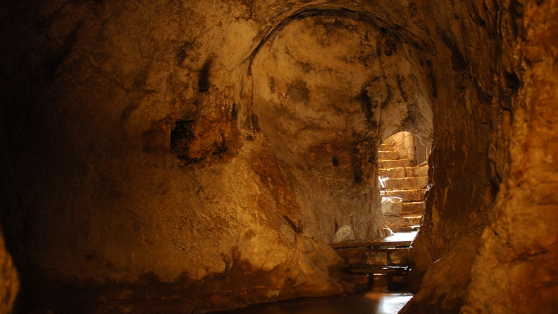 The fact that Hezekiah’s tunnel even exists is a testament to the historical accuracy of Biblical narratives. Today, any tourist can visit Hezekiah’s tunnel and observe that it runs from outside Jerusalem to the former Pool of Siloam. Radiocarbon dating has demonstrated that most of the tunnel was constructed at the time of the Assyrian siege of Jerusalem in 701 B.C., and reasonable historical analysis shows that there was enough time to construct the tunnel to prepare for an invasion. “The Ancient Hebrew Inscription Discovered at the Pool of Siloam in Jerusalem,” Palestine Exploration Fund Quarterly Statement 13.3 (July 1881): 141-154. Frumkin, Amos, Aryeh Shimron, and Jeff Rosenbaum. “Radiometric Dating of the Siloam Tunnel, Jerusalem.” Nature 425.6954 (2003): 169-71. Web. Reich, Ronny, and Eli Shukron. “The Date of the Siloam Tunnel Reconsidered.” Tel Aviv 38.2 (2011): 147-57. Web. Maeir, Aren M., and Jeffrey R. Chadwick. “Regarding Recent Suggestions Redating the Siloam Tunnel.” Bible History Daily. Biblical Archeological Society, n.d. Web. Sneh, Amihai, Ram Weinberger, and Eyal Shalev. “The Why, How, and When of the Siloam Tunnel Reevaluated.” Bulletin of the American Schools of Oriental Research 364 (2011): 53-60. Web. Spread the word. Share this content.